After Moscow criticized Israeli 'provocative' strikes on Syria, Jerusalem claims targets were primarily storage and logistics facilities used by Iran to ship weapons to the Hezbollah terror group. An Israeli security official on Wednesday confirmed responsibility for overnight Tuesday's airstrikes in Syria, saying the air force had hit a series of targets involved in Iranian arms transfers to the Hezbollah terror group. The Israeli official said the air force had attacked several Iranian targets in three main locations late Tuesday and early Wednesday. He said the targets were primarily storage and logistics facilities used by archenemy Iran to ship weapons to Hezbollah, an Iranian-backed Lebanese group that fought Israel in the Second Lebanon War in 2006. The official spoke on condition of anonymity under standard Israeli security protocols. The IDF has not commented on the incident. Lebanon's acting Transport Minister Youssef Fenianos confirmed Konashenkov's account, saying the two airplanes in Lebanese airspace "narrowly" escaped Israeli warplanes, averting a "human catastrophe." Fenianos said Lebanon will present a complaint to the UN Security Council. The Israeli official said the Israeli jets hit all their targets, in some cases causing secondary explosions. He said they also destroyed a Syrian anti-aircraft battery. That mission has been complicated by the September 17 downing of the Russian reconnaissance aircraft by Syrian fire. Russia, which also backs Assad, has blamed Israel for the friendly-fire mishap and reportedly scaled back a hotline that allowed the two air forces to coordinate and avoid unintended clashes. Israeli officials have also expressed concern about US President Donald Trump's decision to withdraw US forces from Syria. The US presence has given Israel an extra element of protection. 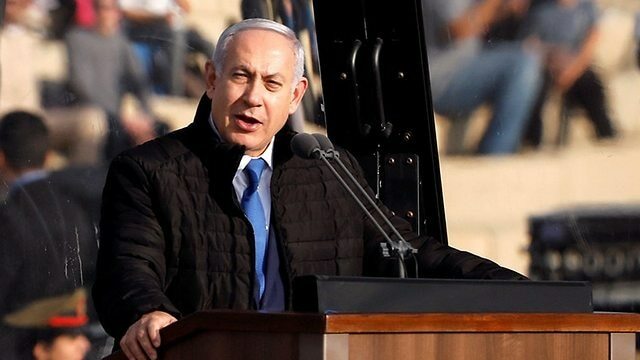 Speaking at a military ceremony Wednesday, Netanyahu said the US withdrawal will not change his policy. Although he did not directly mention the airstrikes, he said Israel's air force has unmatched capabilities and can reach areas "near and far, very far." Addressing the same ceremony, Chief of Staff Lt. Gen. Gadi Eisenkot, praised the army's "many important accomplishments, including "thwarting the expansion of Iranian influence." In messages sent to the UN secretary-general and the president of the Security Council, the ministry said the Israeli airstrike wouldn't have been launched if it wasn't for what it called "unlimited" US support for Israel. 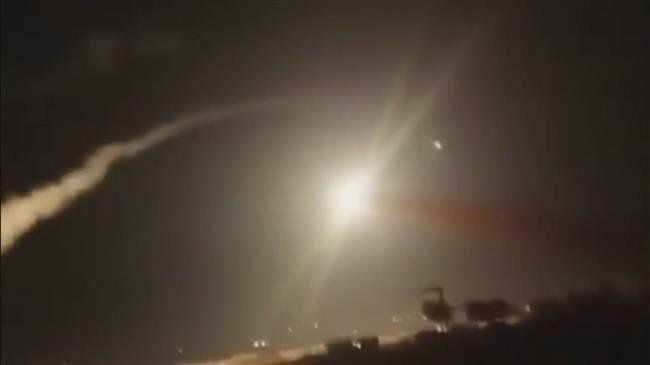 Syria has strongly condemned Israel’s recent missile strike near the capital Damascus as a blatant violation of a United Nations resolution, adding that Tel Aviv would not have been able to carry out such attacks without support from the United States. In two separate letters addressed to the UN Secretary General Antonio Guterres and the head of the UN Security Council, the Syrian Foreign Ministry on Wednesday condemned the attack as a violation of UN Security Council Resolution 350, which called for a ceasefire between Israel and Syria in the wake of the Yom Kippur War. The Foreign Ministry accused Israel of seeking to prolong the crisis in Syria, noting that such strikes are tantamount to what Daesh and other terrorist groups are doing in Syria. Syria once again asks the Security Council to fulfill its responsibilities in keeping international peace and security and adopting firm measures to prevent the repetition of the Israeli attacks, the ministry concluded. Meanwhile, Lebanon's Foreign Ministry also condemned the airstrike and affirmed Syria's right to defend its sovereignty. In a statement issued on Wednesday, the ministry asked the international community to denounce the aggression and counter the Israeli violation of Lebanon's airspace to conduct strikes against its neighbor, Syria. On Tuesday, Syrian air defense systems intercepted several missiles fired by Israeli warplanes, nearly a month after government forces foiled another Israeli act of aggression against the country. 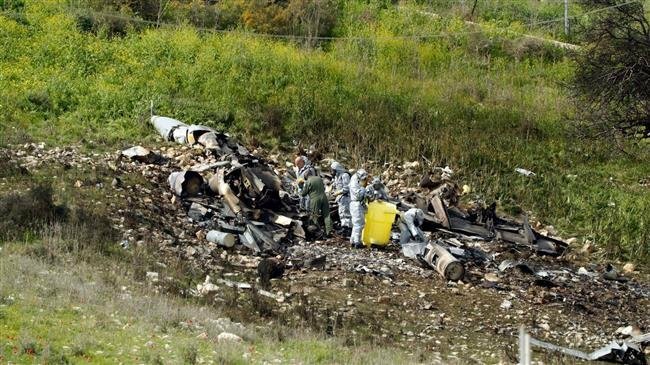 The Israeli missiles were launched from the Lebanese airspace and most of them were downed before reaching their targets. Russia has condemned as “provocative” the latest Israeli airstrikes on Syria, saying they had endangered two civilian flights. “Provocative acts by the Israeli Air Force endangered two passenger jets when six of their F-16s carried out airstrikes on Syria from Lebanese airspace,” Russian Defense Ministry spokesman Major General Igor Konashenkov told reporters on Wednesday. He added that the Israeli airstrikes took place as "two airliners, not from Russia, were preparing to land at the airports of Beirut and Damascus." The Syrian military did not launch surface-to-air missiles and electronic jamming “to prevent a tragedy.” One of the civilian airliners was redirected to a reserve airport in Khmeimim in western Syria. According to the Russian Defense Ministry, the Israeli military used as many as 16 US-made laser-guided GBU-39 bombs. Most of them were destroyed by Syria’s air defenses but only two of them reached their targets. Three personnel were injured when two precision munitions hit a logistics compound seven kilometers away from Damascus. The statement largely confirmed a report by Syria’s official SANA news agency that went public on Tuesday. Later on Wednesday, the Russian Ministry of Foreign Affairs slammed the Israeli aerial attacks as a violation of the Syrian sovereignty. "We are very concerned by the attacks and how they were made. This is a gross violation of the sovereignty of Syria," the ministry said. The attacks came less than a month since Syrian air defenses were activated against several missiles, which were aimed at the city of al-Kiswah, located approximately 13 kilometers south of Damascus. Israel frequently attacks military targets in Syria in what is considered as an attempt to prop up militant groups that have been suffering heavy defeats against Syrian government forces. In October, Russia equipped the Syrian army with the advanced S-300 surface-to-air missiles, days after Israeli fighter jets used a Russian surveillance aircraft flying nearby as a shield and misled the Syrian air defenses to shoot it down. Since then Israel has been very careful with its operations over Syria.